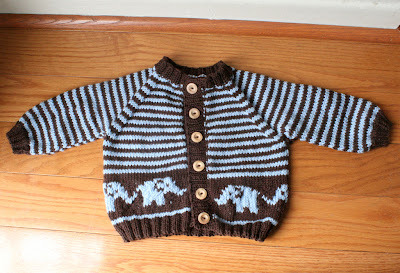 The knitting for Birdie has been coming along much faster than I had expected. 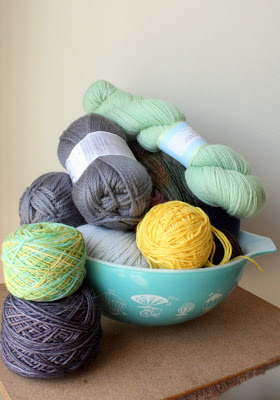 I though I'd post what has been coming off the needles lately. I finished up the Gift Wrap Romper by Carina Spencer. The sleeves really aren't as giant as they look here, I just took the photo at a funny angle. 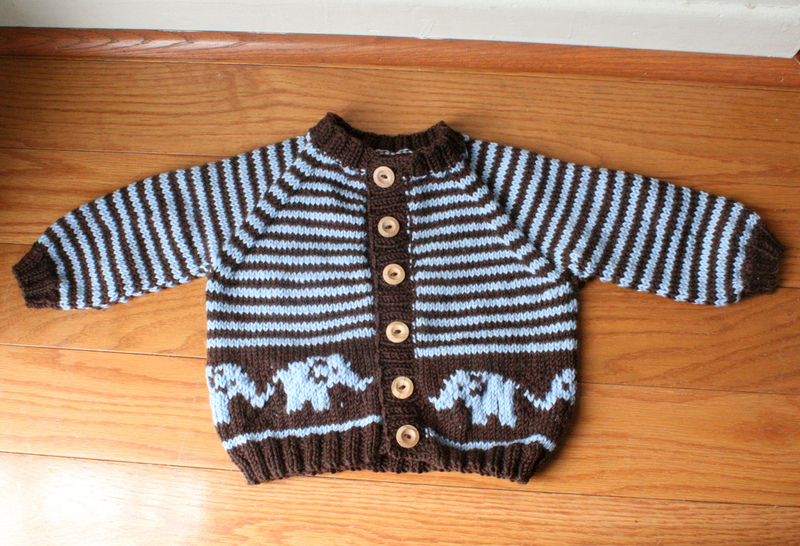 I loved this pattern, aside from picking up all those stitches for the band! These Snapdragon Soakers were quick and easy knits. 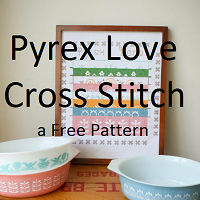 The pattern is free too. 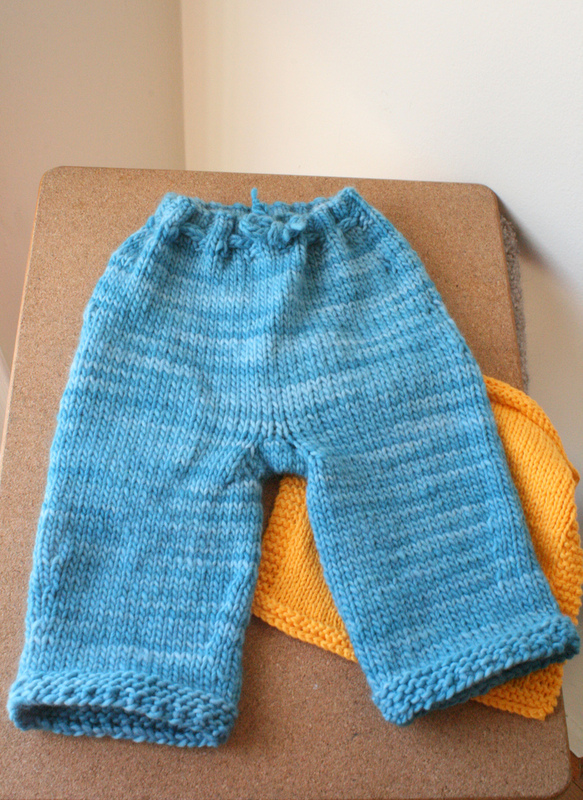 Longies were knit from the Buttknits & Trade Basic Shorties and Longies pattern. Quite simple to follow, but these knit up HUGE. 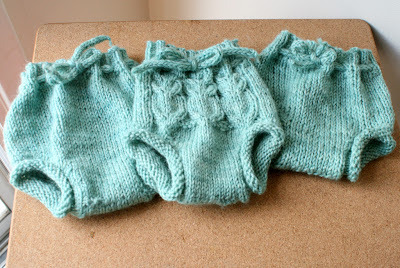 This is the smallest size, but they look like they will fit a baby 6 months or so. For the next pair the pattern will have to be sized down. A sweet striped elephant sweater was followed by another, just a little bit smaller one.. 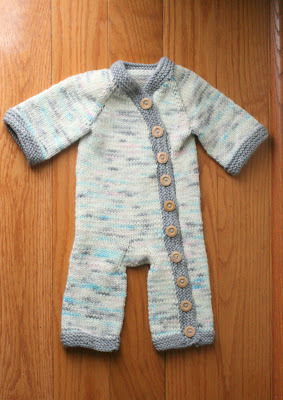 I cannot wait to see Birdie in all these handknits! 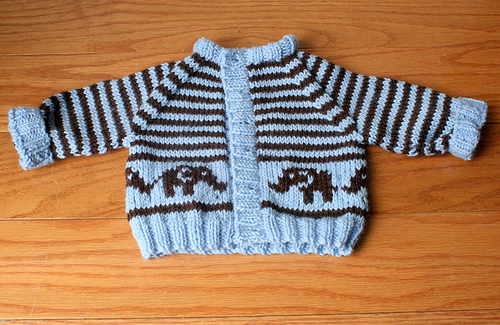 On the needles right now is this adorable Whale Sweater. 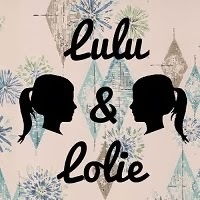 Once it's a little warmer and I won't want to knit much anymore, I'll break out the sewing machine for some fun baby projects.